International mediator Lakhdar Brahimi said on Wednesday the Syrian government has agreed to a ceasefire during the Muslim holiday of Eid al-Adha, a decision Damascus would announce shortly. "After the visit I made to Damascus, there is agreement from the Syrian government for a ceasefire during the Eid," Brahimi told a news conference at the Cairo-based Arab League The holiday starts on Thursday and lasts three or four days. 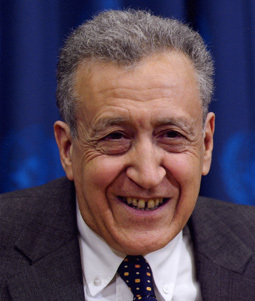 Brahimi, a mediator appointed by the United Nations and Arab League, did not specify the precise time period.